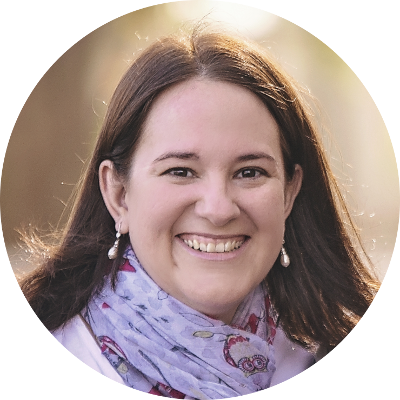 With busy days balancing being a mom to two little kiddies it’s important for me to get a good night’s sleep to recharge for the next day. So having a nappy I can trust to give my little one a good, uninterrupted night is very important, because we all know that if baby doesn’t sleep neither does mom! Disclaimer: This is a sponsored post. 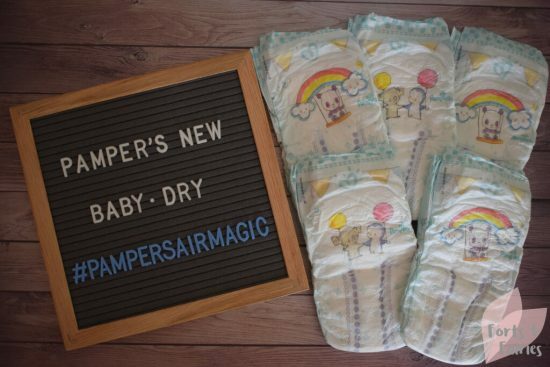 The new Pampers Baby-Dry air channel nappies were sent to us to review, however, the views and opinions expressed in this review are my own. Pampers new Baby-Dry with air channels helps to keep my two year old son dry, clean and comfortable, both during the day so he can play and have fun, and at night so he can sleep well and wake happy. Pampers Baby-Dry is the first nappy with two air channels, designed to allow air to flow freely inside the nappy and directly to your baby’s bottom for breathable dryness. The nappies promise to be a big hit with your children, with new brightly coloured pictures of koalas, panda bears, penguins and elephants making nappy change time more fun. 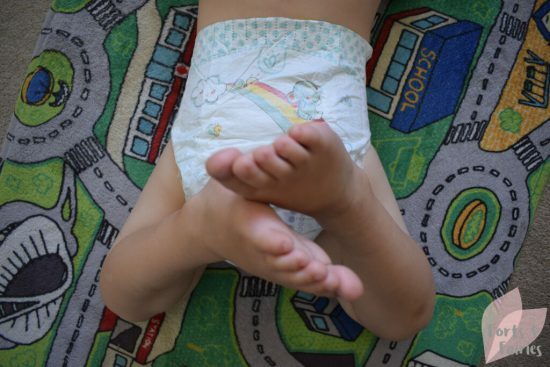 They fit snugly on my son and are absorbent, helping to keep him dry for up to twelve hours as Pampers Baby-Dry are designed to distribute wetness evenly from front to back across the nappy and lock it away. We had no leaks (that will be thanks to the anti-leakage barriers), and they were comfortable for him to wear, and as mentioned he loves the pictures on the nappies and has asked me to ‘please buy these again.’ There is even baby-lotion that will help to protect him from any rashes, yes please! If you have a smaller baby you can also keep an eye out for the wetness indicator which turns blue when the nappy gets wet and is featured on the small nappy sizes. Look out for the new Pampers Baby-Dry range in stores now. You’ll notice the new packaging with the ‘Air Channels’ symbol as well as that it’s now called Baby-Dry instead of Active Baby-Dry. The nappies are available from size 1 to size 6 and are suitable from the newborn age to children weighing 13 kgs and over. For now you’ll only spot the new Baby-Dry in sizes 4 to 6, but sizes 1 to 3 will be available in the coming months too. 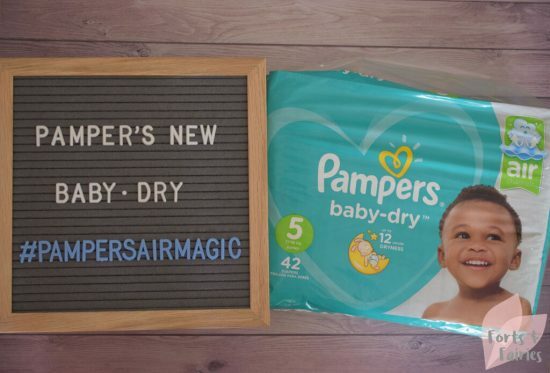 Pampers Baby-Dry retails for a recommended retail price of R230. Here’s the new packaging which you will spot on shelves, and a chart showing the new weight range changes too.